The 6” suction x 4” discharge self-priming centrifugal DV100CE electric trash and sewage pump provides up to a maximum of 1,150 gallons per minute pumping and up to 104 feet of head. 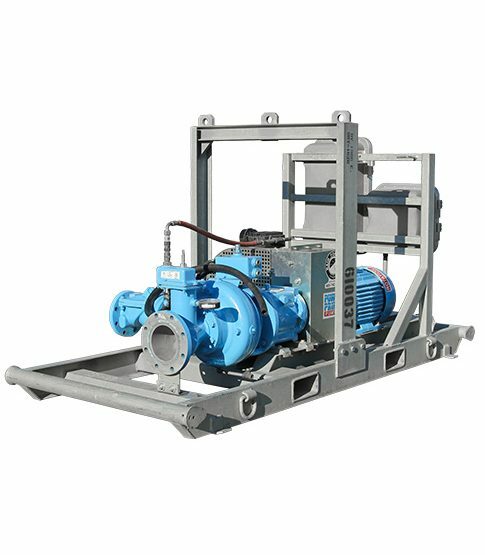 This pump is usually mounted on a skid and features the standard PowerPrime Clean Prime Venturi priming system which allows it to run continuously, unattended and even run dry. There are also Diesel Driven and Sound Attenuated models of the DV100C available.